The waiver would allow Indian companies to continue importing about 1.25 million tonnes of oil per month from Iran until March 2019. “India and the US have broadly agreed on a waiver. India will cut import by a third, which is a significant cut,” a source said, as quoted by the New Delhi-based Economic Times newspaper. The administration of US President Donald Trump is preparing to launch the second wave of sanctions against Iran from November 4 in which a universal ban on the country’s oil exports appears to be a primary objective. US officials have already said the sanctions would be meant to bring down Iran’s oil exports to zero. However, Iranian officials have repeatedly rejected the feasibility of this, stressing that international consumers cannot afford to lose Iranian supplies. Indian companies can import 1.25 million tonnes a month up to March 2019, the same as they ordered for October and November, the Economic Times wrote adding that an official statement on that front would be made within the next few days. State oil firms are yet to decide on how this quantum will be split between them. A waiver will come as a big relief to Indian Oil and MRPL, the two largest Iranian oil consumers. 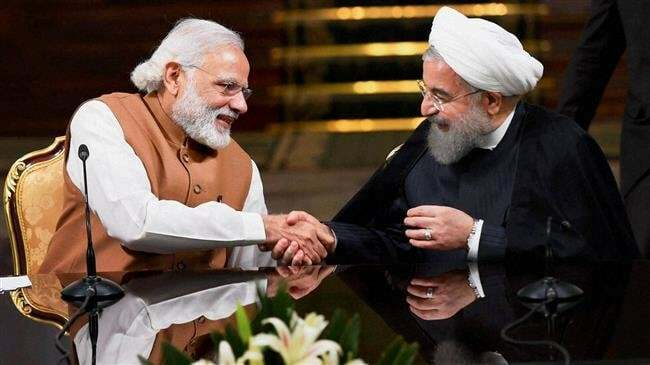 The Economic Times added that it was still not clear how Indian companies would pay for imports of Iranian oil and that a mechanism for the same purpose was still under negotiation between Iran and India. It added that the two countries were likely to stick to the existing mechanism under which 55 percent of payment would be made in euro and 45 percent in rupee through India’s UCO Bank. Under this, rupee is used for import of rice, drugs, and other products from India while the balance proceeds in rupee and euro sit idle in the Indian bank waiting for sanctions to go.